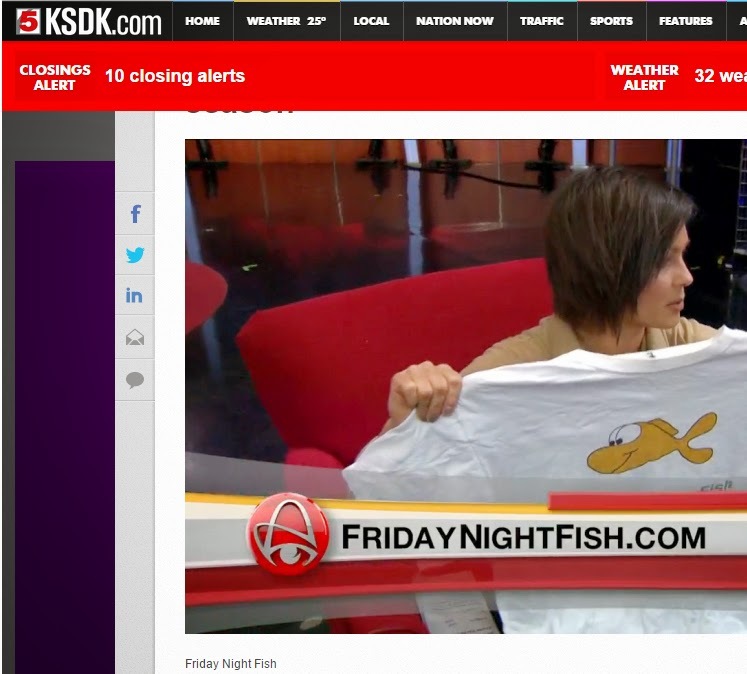 Friday Night Fish: St. Louisians will drive up to 20 minutes to go to a fish fry! 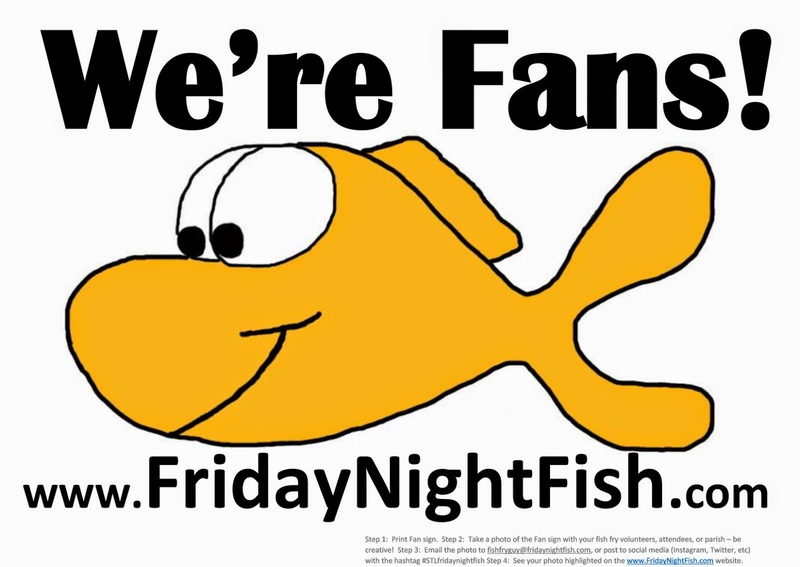 St. Louisians will drive up to 20 minutes to go to a fish fry! 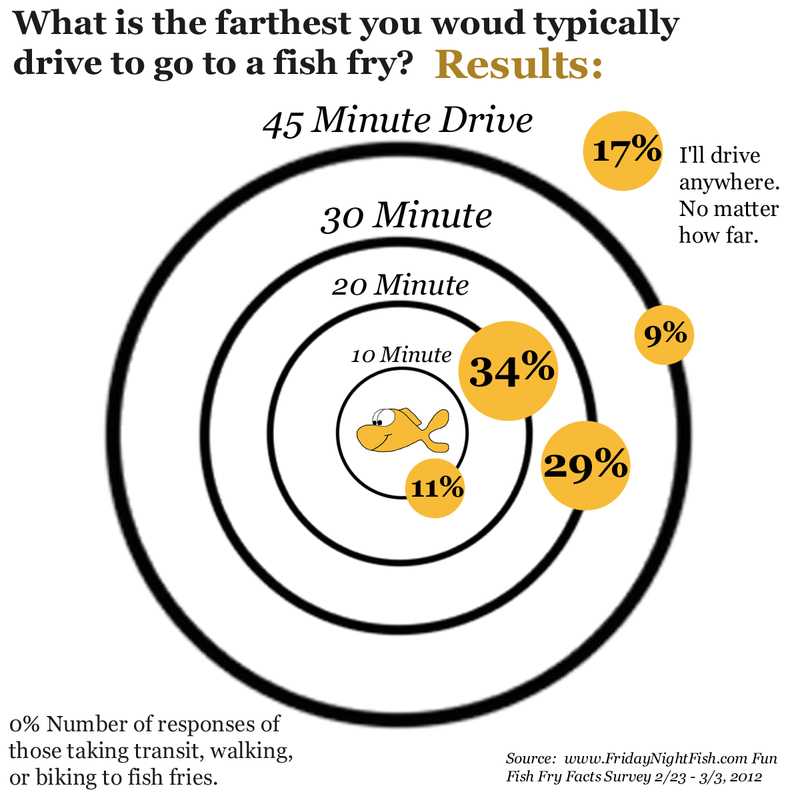 This week's Fun Fish Fry Fact Survey questions was, "What is the furthest you would typically drive to go to a fish fry?" 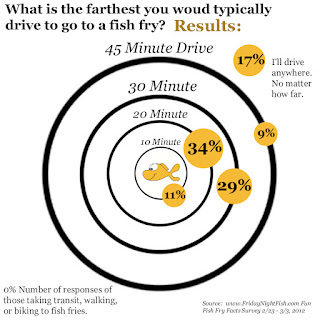 34% of respondents said they would drive up to 20 minutes to go to a fish fry. That is in line with the average commute time in the St. Louis region at 22 minutes.